I love cookies and when I make them I tend to eat too many. I will snack on them all day. Snacking on cookies all day is not healthy for me and will make me fat. My solution to my cookie craving is to make healthy cookies that I can eat without feeling guilty. 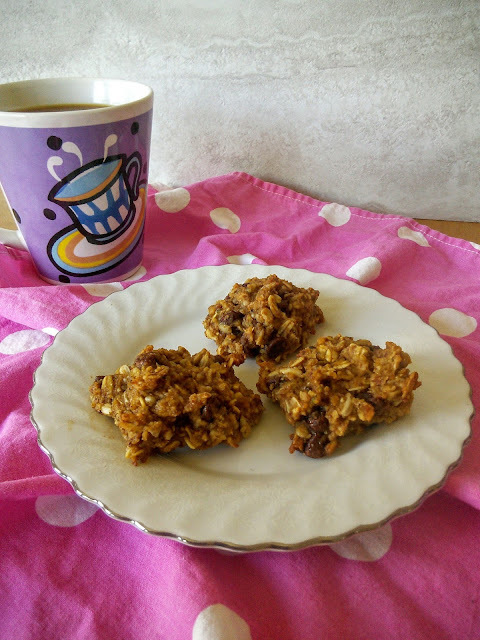 My cookies are loaded with whole grains and protein to fill me up with good nutrition. They are also low in sugar and fat. These cookies are also great to eat for breakfast too. So how do I make a peanut butter cookie low fat? My secret is PBfit Peanut Butter Powder. This powder is made from roasted peanuts and only has 4 grams of fat per serving compared to 16 grams of regular peanut butter. You are probably wondering how that is possible as peanuts are high in fat. PBfit takes peanuts and gently roasts them. Then they extract 85% of the oil from the peanuts and grinds the peanuts into a powder. They add a pinch of sugar and a dash of salt to create a delicious powder that tastes like peanut butter. This yummy peanut powder is great to add to smoothies, yogurt, and oatmeal to add a flavor protein boost. You can also add PBfit to recipes like cookies, muffins, and pancakes to add a great peanut butter taste without adding fat. You can even make the powder into a spread to make a low fat peanut butter sandwich or a dip for apples. My boys love when I use PBfit to make them a chocolate peanut butter shake. 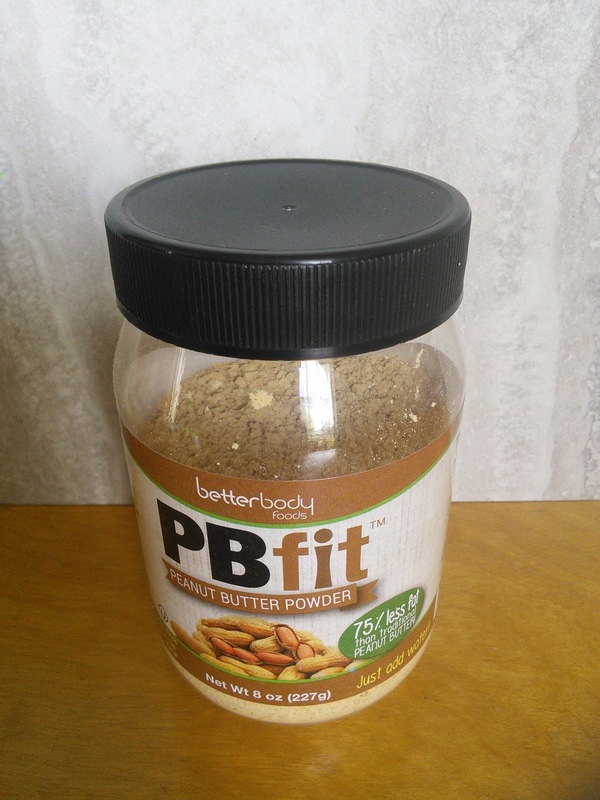 Check out this wonderful low fat peanut butter powder and click on the below links. 1) Lightly grease 3 baking sheets, or line them with parchment or silicone baking mats. 2) In a large bowl, mix the applesauce, sugar, almond milk, vanilla, and egg together. Combine until smooth. 3) Combine together the almond flour, oats,Pbfit powder, flax meal, salt, and baking soda. Then add to applesauce mixture and mix well. 4) Add chocolate chips and sunflower seeds. Mix until ingredients are all combined. 5) Let the dough rest for 30 minutes or so at room temperature, for the oats to soften. Towards the end of the rest period, preheat the oven to 350°F. 5) Scoop the dough by rounded tablespoonfuls onto the prepared baking sheets. Flatten each ball of dough slightly. I like to put 12 cookies per baking sheet. 7) Bake the cookies for 15-20 minutes, until golden brown. Cool them on the baking sheets for 15 minutes or so, to allow them to set. Store in the fridge to keep fresh. I need to try some of this! It's incredible how many products are now, gluten-free! This looks so good!! I love PB and Chocolate :) Your bars turned out wonderful! Mmm, I love peanut butter cookies - and gluten free too? Sign me up! Thanks for sharing - these look tasty! I love peanut butter cookies, so I know this would be a hit with me. Who doesn't like cookies for breakfast. Score!!! Thanks for sharing this yummy recipe. Yummy, I love peanut butter but don't love all the fat. I also have some friends with celiac so I will be passing this awesome recipe on!